Poundland Tile is a parquetry style floor tile made from Fablon. An artwork about paradoxes, it is highly crafted using marquetry techniques but made from Fablon, a cheap vinyl covering famous in the 1970s for modernising furniture. It is modelled on a printed faux floor tile from the UK discount store Poundland, which itself mimics a high quality artefact. Poundland Tile is situated in the Surrealist-derived engagement with multiples, comments on the vernacular and contributes to the critique of high/low art and craft. 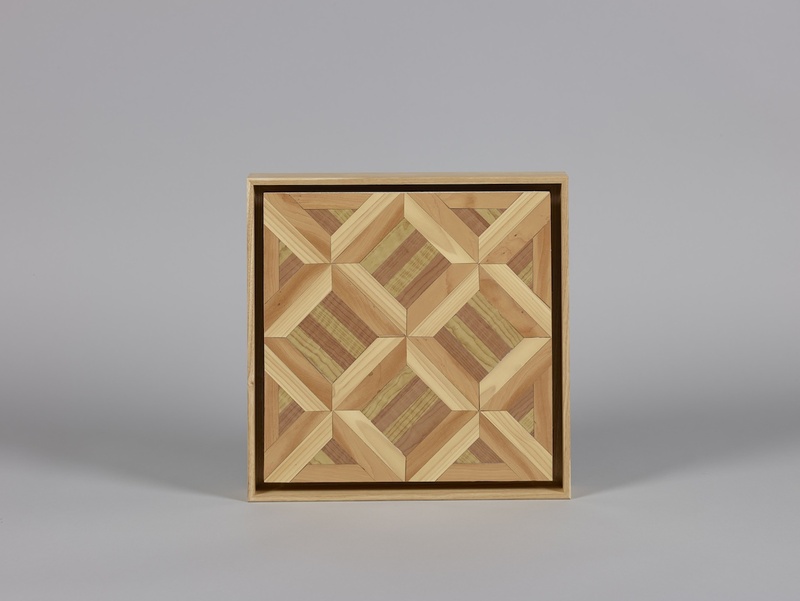 This work is part of an ongoing series which subverts marquetry techniques.